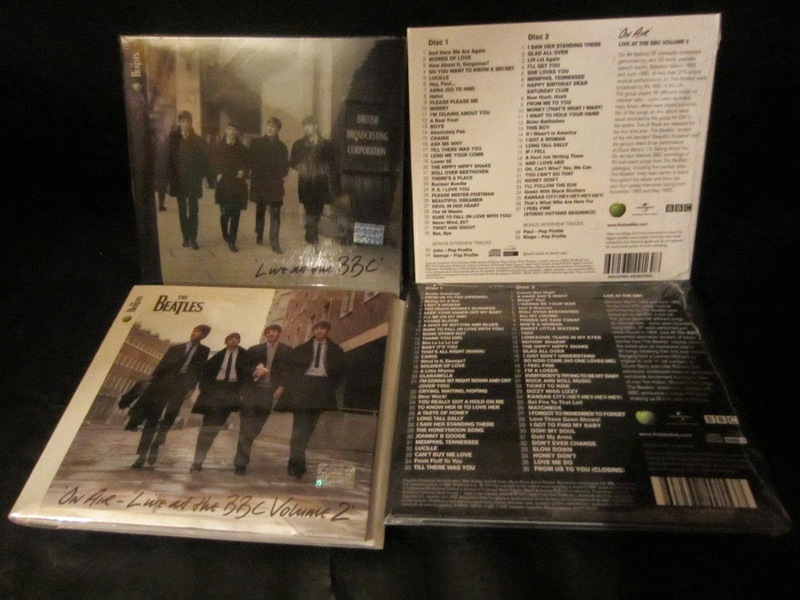 Baugh's Blog: Album Review: The Beatles "On Air - Live at the BBC, Volume 2"
Album Review: The Beatles "On Air - Live at the BBC, Volume 2"
The third - and final - significant Beatles product that I previewed late last year was the album The Beatles: On Air - Live at the BBC, Volume 2. It was coordinated to come out in November, 2013 at the same time as the book The Beatles: The BBC Archives 1962 to 1970 (2013), written and compiled by the BBC producer Kevin Howlett. Howlett's book is the definitive guide to all of The Beatles' radio and TV appearances on the British Broadcasting Corporation (the BBC - affectionately known as "the Beeb"). 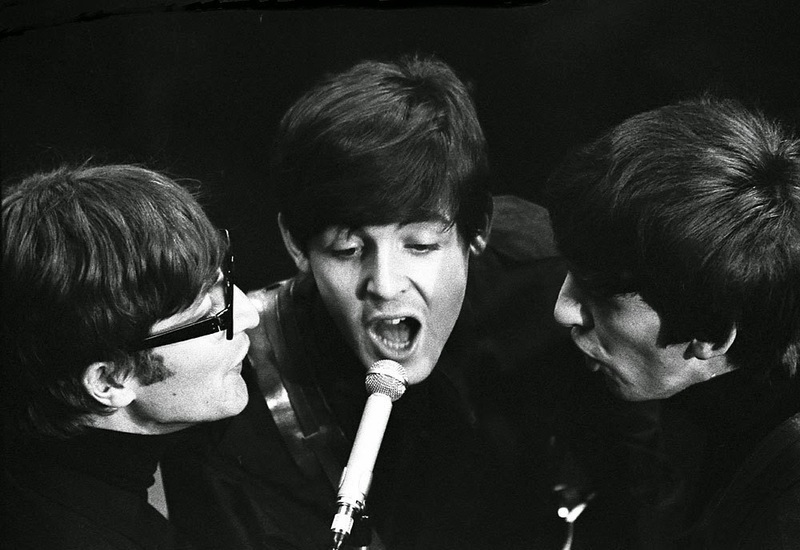 Between March 8th., 1962 and June 7th., 1965, The Beatles performed on 53 different BBC Radio programmes. Those shows contained 275 musical performances by the band - of 88 different songs. What is of particular interest to avid Beatles' fans is that 36 of those songs were never issued on record (whether single, EP or LP) during the band's career. Only one of them was a Beatles' original - "I'll Be On My Way", a Lennon-McCartney song given to Billy J. Kramer and The Dakotas (another Liverpool-based band managed by Brian Epstein) for use as the B-side of their first single. The other songs were cover versions of their favourite American performers - staples from The Beatles' stage repertoire, dating back to the early Hamburg days (or should I say nights!). 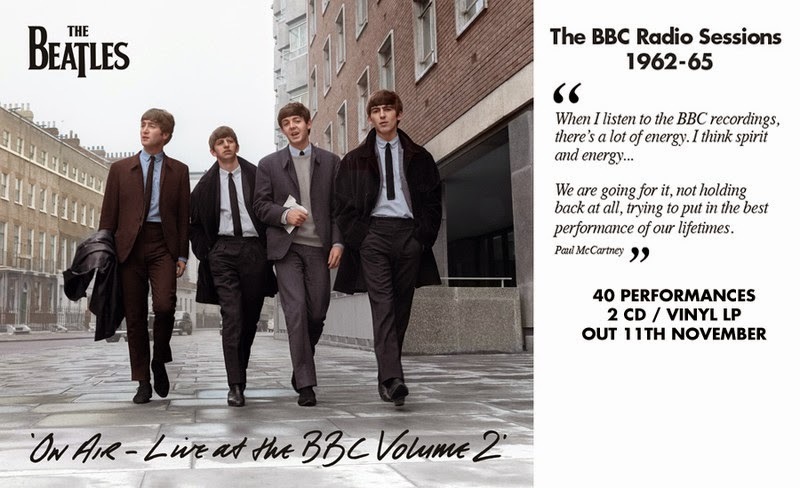 When the first 2-CD collection of Beatles BBC Radio material - Live at the BBC - was released in November, 1994, it was the cover songs that were the real revelation: songs by Chuck Berry, Little Richard, Carl Perkins, Elvis, and various Motown artists. Some songs by these American performers were scattered across three of the band's first four LPs and several of their EPs. But there were a lot more recorded for the BBC Radio sessions. It was this unfamiliar material that really excited Fab Four fanatics. Five million copies of this first selection of BBC Radio performances were sold in the first six weeks after its release. There were 56 songs featured on Live at the BBC. 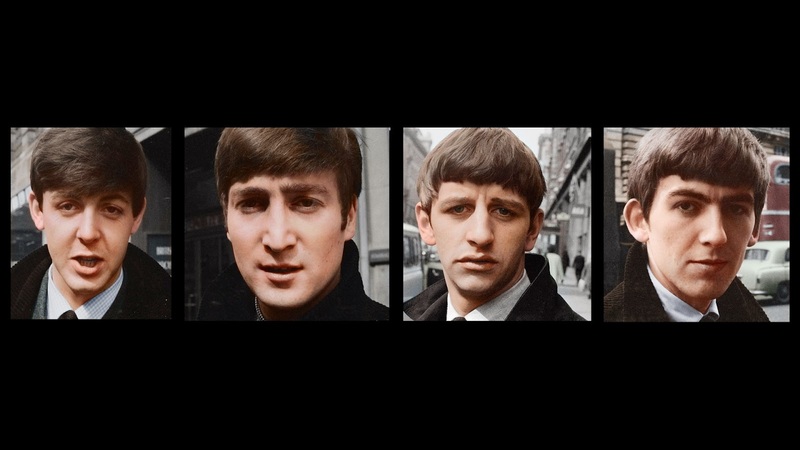 In addition, there were a lot of brief snippets of playful, irreverent exchanges between the plummy-voiced and gentlemanly BBC "comperes" (programme hosts) - most of them trained as actors at drama school - and these witty iconoclastic rock 'n' roll artists from Liverpool. 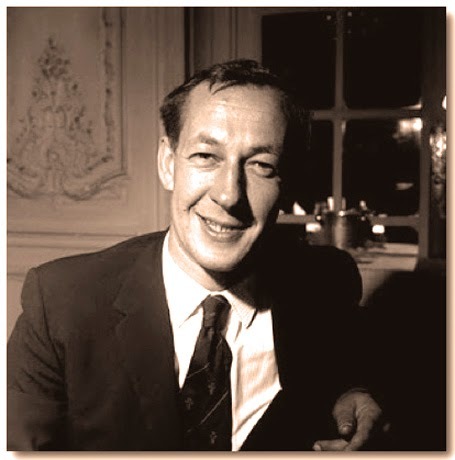 Brian Matthew BBC host of "Saturday Club" and "Top Gear"
The Beatles' BBC radio programmes did not feature any of their official recordings (on Parlophone Records). The band normally came into the BBC's Paris Theatre studios in Lower Regent Street a few days before the intended day of broadcast. The songs were usually recorded live, without overdubs, after one or two run-throughs. There was usually a lot of fooling around in the studio. Producers and hosts would start to get anxious - thinking that nothing of value would get accomplished - but inevitably the band would get down to serious work and complete the session by the fixed deadline. 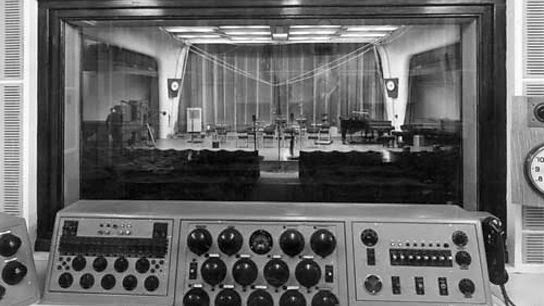 Compared to the sessions at EMI's Abbey Road studios - normally they'd do two or three songs in three hours, the BBC recording was done very quickly. 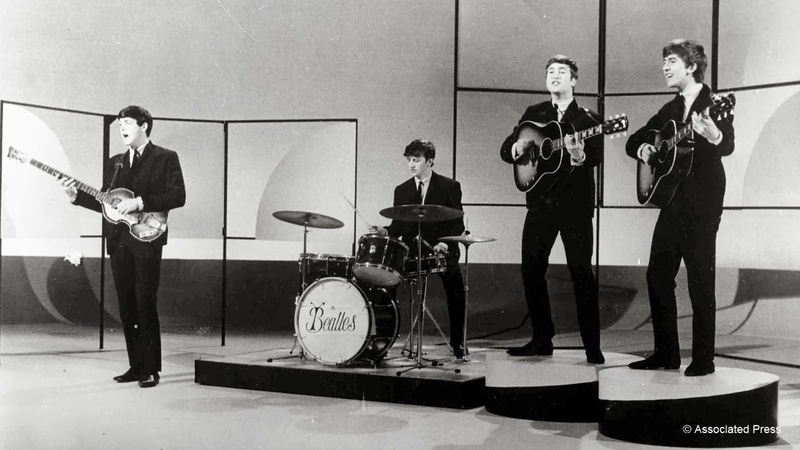 When they were doing Pop Go The Beatles their fifteen-week run of 30-minute programmes in the summer of 1963, they would have to record six songs in about 90 minutes. They were working incredibly hard in those days. 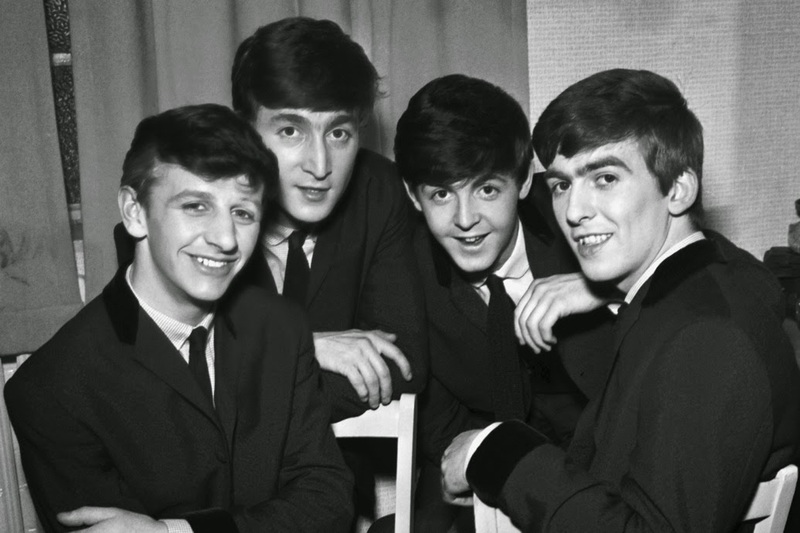 On July 16th., 1963, for example, they thought nothing of pre-recording material for three of their upcoming shows - taping 18 songs for Pop Go The Beatles in just under 7 hours! Most of the BBC Radio sessions were done alone in the studio with BBC producers, engineers and hosts. Occasionally, though, the radio performances were pre-recorded live-to-tape in front of an audience in the Paris Theatre. On the odd-occasion, too, unforeseen circumstances forced them to perform live-to-air - something with which they had no problem. Overdubs were possible, even though the recording was done on a one-track mono tape machine. The first performance would be played back; and a second part - usually another vocal line, or an instrumental solo - would be added on top, the combined work recorded to a second tape recorder. 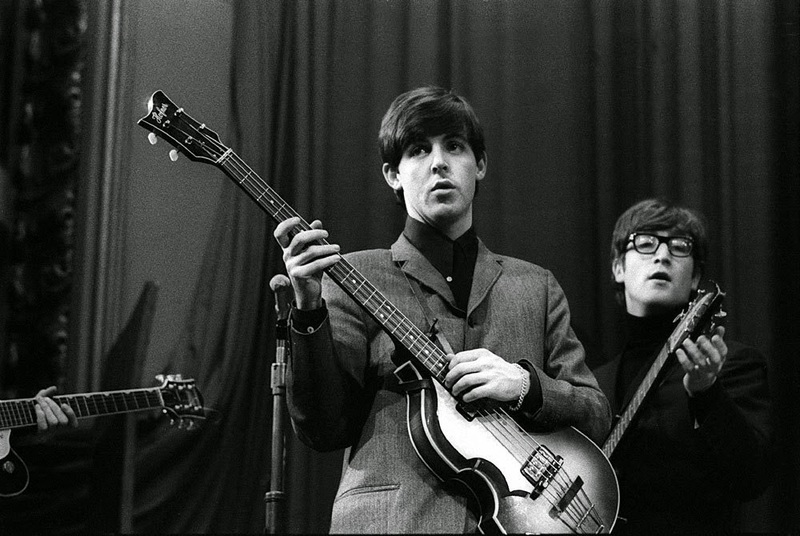 Only about a third of The Beatles' BBC musical performances have survived. Most of the original sessions are lost - incredibly - because the tape was reused. Individual producers, engineers and hosts saved bits and pieces. Listeners taped live broadcasts from over the radio. Vinyl LPs of programmes turned up (from the Transcription Service that the BBC offered to radio stations around the world). It was Kevin Howlett's and Jeff Griffin's production work in collecting material that led to the BBC Radio special The Beatles at the Beeb in 1982. Further research and collecting led to a series of 14 thirty-minute programmes in 1988 called The Beeb's Lost Beatles Tapes. And this, in turn, led to the first 2-CD collection The Beatles: Live at the BBC (1994) - which was released in a much-improved, remastered edition in November, 2013. And there it stood for almost twenty years. Finally, 19 years later, - in November 2013 - a second collection emerged. 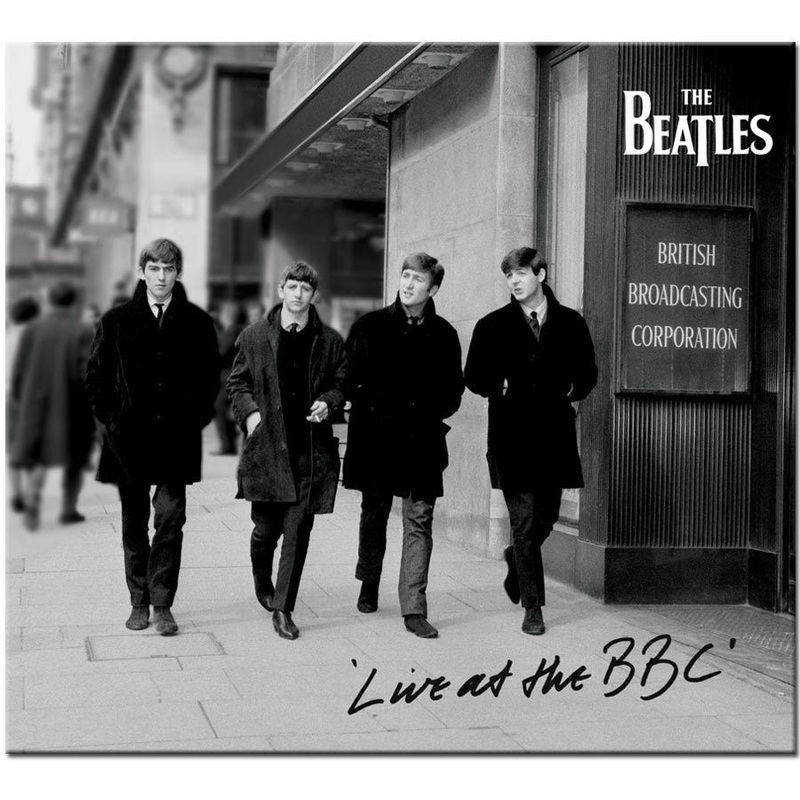 Its full title is The Beatles: On Air - Live at the BBC, Volume 2. This collection is a sequel to the first. It has a similar format: live BBC sessions inter-mixed with snippets of conversation between Beatles and hosts, and listener-requests read by the Fab Four. There are 39 songs featured on these discs; that's 17 less than the previous collection. 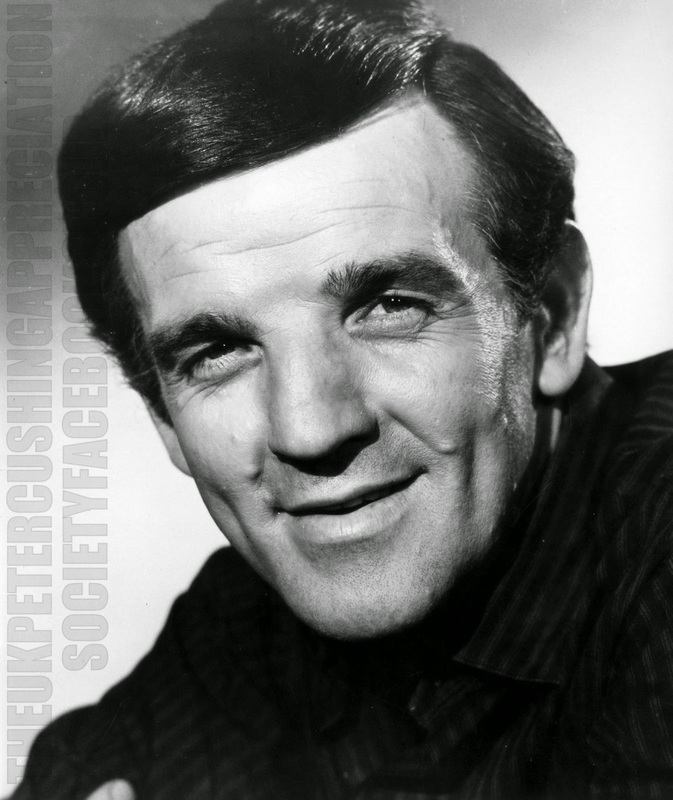 A measure of compensation is provided, though, by the inclusion of four eight-minute-long interviews (Pop Profiles) done by Brian Matthew for the BBC Transcription Service. 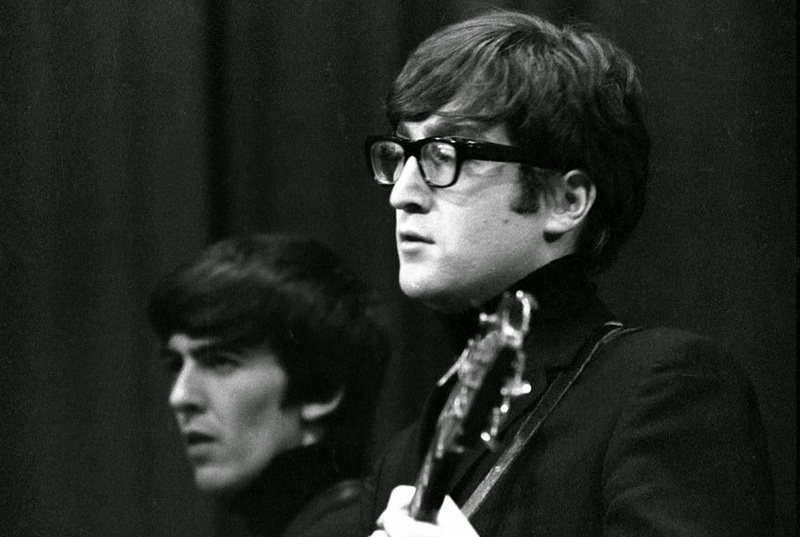 The interviews with John and George were done on November 30th., 1965. They are tagged onto the end of Disc 1. Paul and Ringo were interviewed on May 2nd., 1966 - five months later. These are heard at the end of Disc 2. Of the 39 songs included in On Air - Live at the BBC, Volume 2, 27 are songs not featured on the previous collection. All of the recordings are from 1963-64, although the bulk come from 1963 editions of Pop Go The Beatles and Saturday Club. There are 11 of the 14 songs from their debut LP Please Please Me. Several songs each also come from With The Beatles and A Hard Day's Night. A and B sides are included from a few of the singles of that period. Of the 12 songs here that also featured on the previous BBC collection, all but two are familiar covers. There really are only four tracks of significant interest: a version of Buddy Holly's "Words of Love" (done here 15 months before it appeared on their fourth LP); Chuck Berry's "I'm Talking About You"; a rocked-up version of Stephen Foster's "Beautiful Dreamer"; and a Carl Perkins' B side called "Lend Me Your Comb" - which was already included in the Beatles album Anthology I. Slim pickings, as far as unusual or novel material goes. Truth be told, then, this is a bit of a disappointment after the incredible treasure-trove found in the 1994 collection Live at the BBC. That previous set was crammed with real gems - to name but a few: "Keep Your Hands Off My Baby" (Goffin-King), "A Shot of Rhythm and Blues" by Arthur Alexander (one of Lennon's favourite recording artists); "Some Other Guy" (Leiber-Stoller- Barrett), featured in the Cavern film shot by Granada TV in August, 1962; "Soldier of Love" (another Alexander song); the Jodimar's "Clarabella", one of McCartney's favourites; and Phil Spector's "To Know Her is to Love Her". "I had grown up with the BBC. I remember lying on the living room carpet listening to afternoon shows that my mum would be listening to as she was doing the ironing. ... When I listen to the BBC recordings, there's a lot of energy. I think spirit and energy ... We were going for it, not holding back at all." 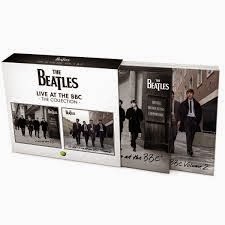 But for more casual fans of the band, who want to sample the best of the Beatles' BBC Radio sessions - to hear what the fuss is all about in regard to these alternate recordings, I recommend you start with the previous set, the first volume, Live at the BBC. If that really excites and interests you, then check this one out too. It's intriguing to really hear them live (without all the screaming obscuring the music) at a time when they were still a hard-working band. They were performing on stage virtually every night of the week, but still able and willing to fit in regular performances on television and the wireless. What exciting and innocent days they were! Resources: The Beatles: The BBC Archives(1962-70) by Kevin Howlett; The Complete Beatles Chronicle by Mark Lewisohn.